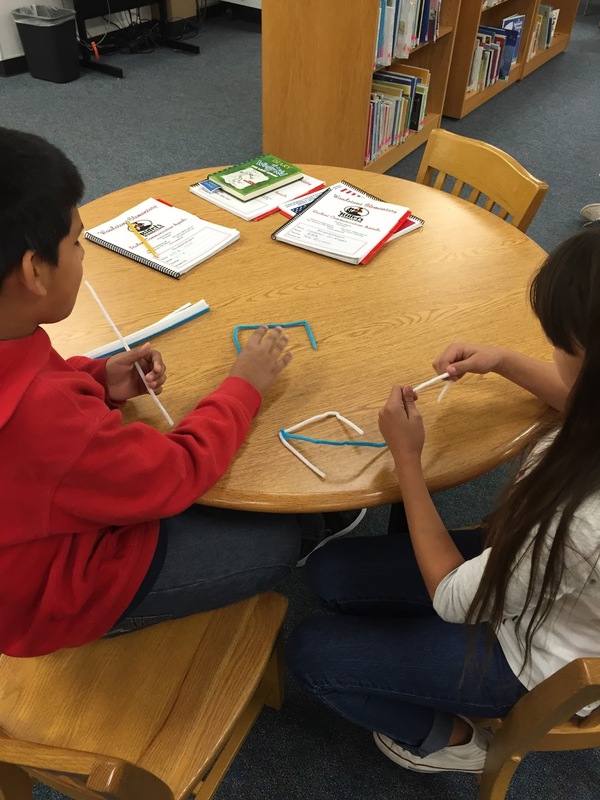 Lessons from a Laughing Librarian: Makerspace Day! 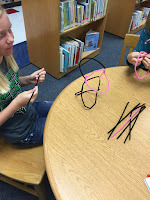 Today I started my makerspace! I am meeting with one grade level each week and 4-6 kids from each class each day. I decided to have 4 days that I meet with the kids instead of 5 in case there is a holiday or school event that interrupts a day. That way those kids that missed can come of the 5th day. 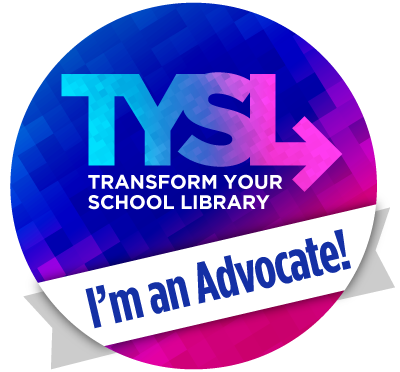 I am starting with 5th grade, so this morning I had about 32 students in the library. 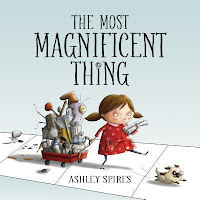 I read them the book The Most Magnificent Thing by Ashley Spires. 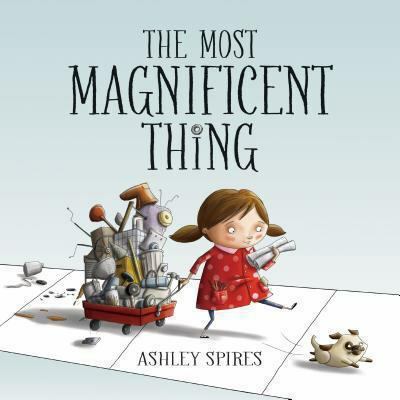 This is a great book to introduce the concept of makerspaces because the little girl has a plan to build the most magnificent thing. After many attempts of having it turn out wrong, she gets mad and decides to quit. Her assistant (the dog) suggests they take a walk and as she walks she notices that in all the wrong things she did, there was something a little right in each one. So she goes back and finally comes up with the most magnificent thing. 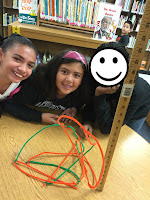 After I read, I explained about the makerspace and the schedule and then I went over my expectations for their time. 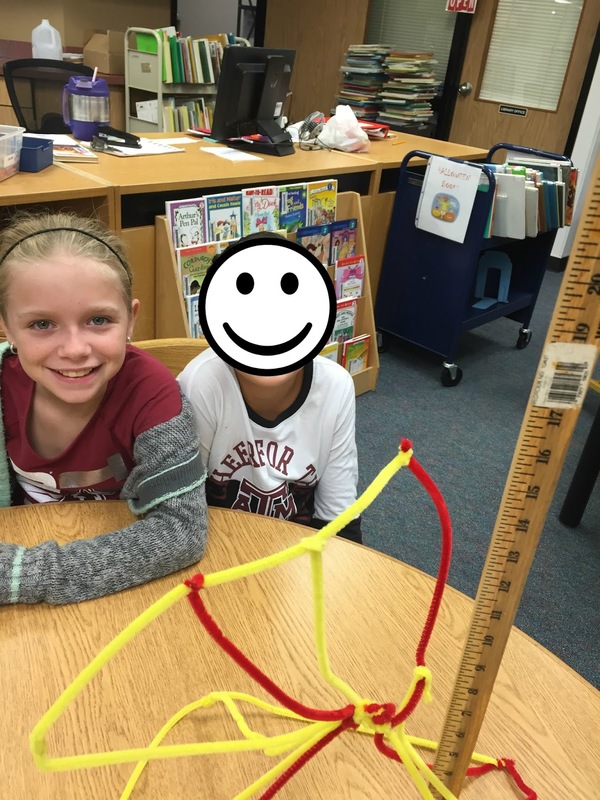 "we need a good foundation"
"it won't stand because there is no support"
Every student was engaged with their partner for the 10 minutes. They were talking to each other and reworking their idea when it fell over. The hard part came when it was time to clean up. They didn't want to stop! I will have to find a better system of using a countdown timer or something so they can see how long they have to work. After they put the materials away, I asked the students if anyone wanted to comment. 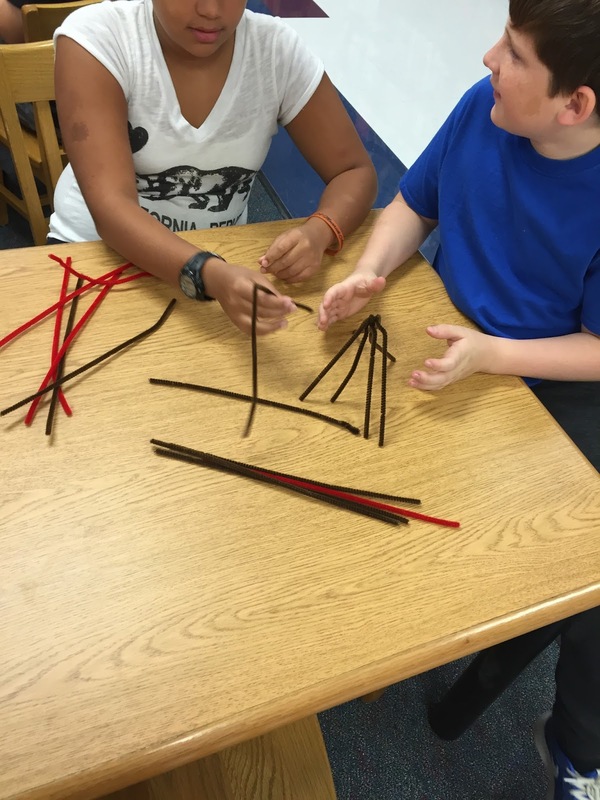 One student commented that no one had the same idea and that the structures all looked different. 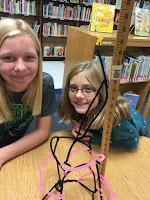 So I took that moment to say that there were going to be no right or wrong answers during their time at the makerspace as long as they were thinking and working it was all good.